In my recent frenzy of making kokedama, I wrote about my Madeleine and Petit Madeleine series of pendants and objects, and mentioned the Precious Pendants exhibition. 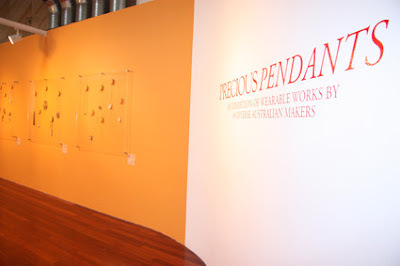 Hard to believe it was already three years ago! 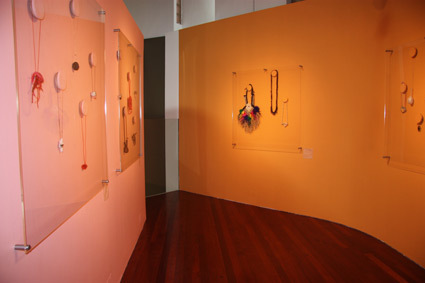 Precious Pendants was an exhibition of pendants by 40 Australian contemporary jewellers held at Object Gallery, Sydney from November 2009 - January 2010. 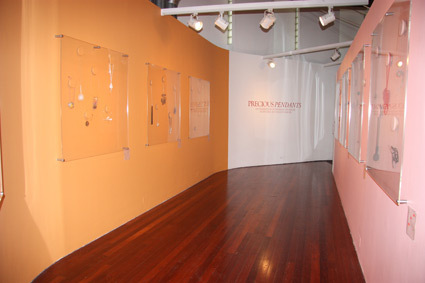 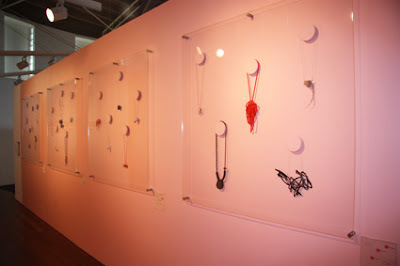 Images of the exhibition installation and individual works can still be viewed on the Precious Pendants blog (click on the slideshows to enlarge images). 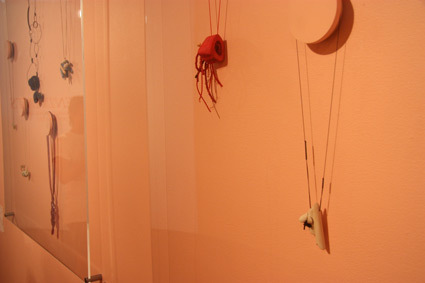 The pendants were exhibited hanging from asymmetrically placed circles on orange walls in the Project Space upstairs gallery of Object.